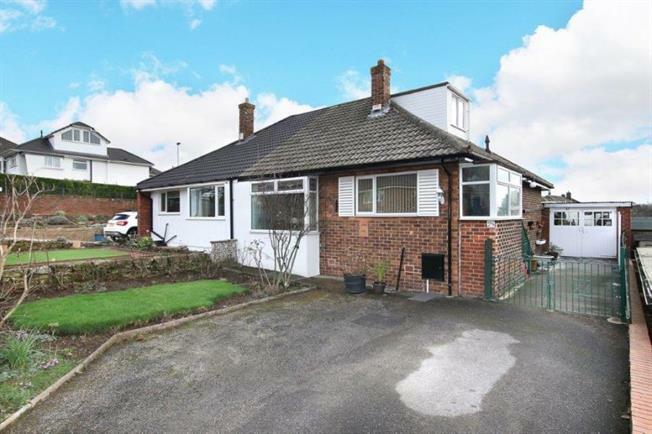 3 Bedroom Semi Detached Bungalow For Sale in Rotherham for Guide Price £160,000. FEATURED IN THE BIG OPEN HOUSE please call for viewing arrangements. GUIDE PRICE 160,000 - 170,000 IMPRESSIVE DORMER BUNGALOW! CONSERVATORY! Fitted kitchen, well presented, driveway and GARAGE! VIEW TODAY! ORIGINALLY THREE BEDROOMS, now two large double bedrooms. Only by taking an internal inspection can this deceptively spacious semi detached dormer bungalow be fully appreciated. Situated in this sought after location giving access to local amenities and commuter links. Ideal for a varied purchaser the property benefits from conservatory, drive and single garage. In brief the property comprises of a side entrance porch leading through to the kitchen. Kitchen having a range of fitted wall and base units, Door leading through to lounge with feature fire surround. Dining room with access to conservatory and stairs to first floor landing. Inner lobby access to bedroom one and family bathroom. First floor landing bedroom two, previously bedroom two and three. Outside lawn to the front, drive, single garage and patio style garden to rear.